Is fitspiration really inspirational? My thoughts. “Strong is the new skinny” – it’s the statement that’s been shared on instagram, facebook and Pinterest along side photos of lean, muscular bodies with abs as motivation to achieve such a body. This type of post has come to be known as fitspiration or fitspo. I have mixed feelings about all this. Mostly negative. Everyone wants to look good and be healthy. But looking good is such an abstract term and often your internal barometer of looking good is out of wack because of what media (both social and print) portrays as “looking good” or the ideal body type, without the acknowledgement that a body shape isn’t definition of health or ‘looking good’. The other key point is you don’t have to look like the pictures to be fit, or strong but that’s the impression that they give. I know plenty of fit, healthy people who don’t have abs showing. 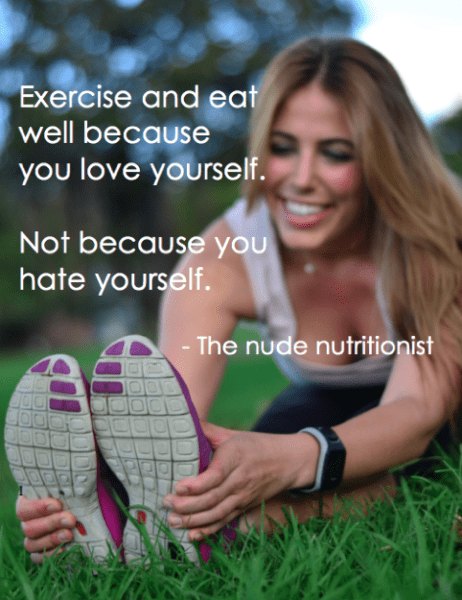 If these fitspo pictures help people aspire to a healthier lifestyle, then that’s great, but I think often it can have more of a negative effect than a positive effect – depending on the picture of course. I was looking at a few accounts on instagram that post before and after photos, or their programmes “success stories” I look at some of the before photos and think that they look similar to my body. A few times the thought has briefly flashed through my head that maybe I need to be slimmer, that I should be more muscular and I should try and tone my legs. I squashed these thoughts of self doubt. I don’t want to get into a mind place where I think my body is not good enough and I am not “fit” looking enough. I’m sure there are others out there who find that when they look at these sorts of images they feel that they are not good enough. 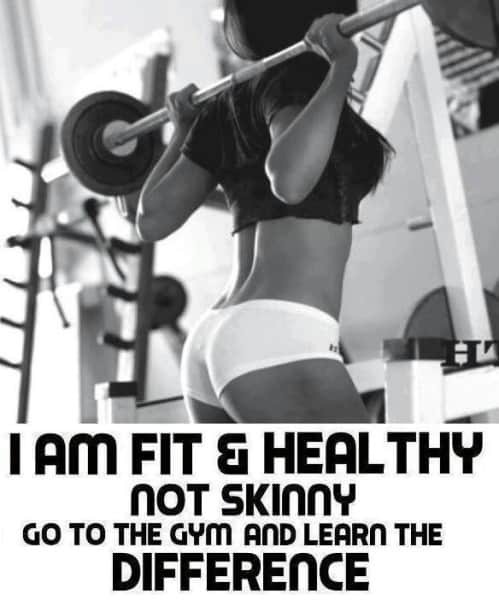 Fit and healthy isn’t a body shape, it’s to do with what’s happening inside of your body. Another reason I’m not fond of most “fitspiration” pictures is the effects I’ve seen it have on young women. I’ve had a few young girls as clients recently who have adopted some really unhealthy eating patterns trying to attain bodies like they’ve seen on instagram or pinterest. One girl was desperate to have a thigh gap. These girls were staying up late exercising, skipping meals and avoiding going out so they didn’t have to eat something that wasn’t what they saw as healthy. Part of their plan to better eating patterns was unfollowing accounts that made them feel like their bodies weren’t good enough. Pictures of really lean, muscular girls/women with defined abdominal messages send a message that it is the ideal body shape to be fit, even though for many it’s not attainable through a healthy lifestyle. Some women can have a low level of body fat and function metabolically normally, many cannot. This is part of the reason why fitspiration isn’t so inspirational in my opinion. As women, we actually need a higher percentage of body fat than men for health and fertility. While it will slightly differ between individuals, if body fat drops below about 18%, ovulation stops. And while you may get your period each month, it doesn’t mean you’re actually ovulating(1). A hormone called leptin is secreted by fat tissue into the blood in proportion to the amount of fat it stores. The brain detects the blood leptin signal and this promotes ovulation when the level is high enough. Body fat also effects other hormones that have an influence on ovulation and the reproductive system. These percentages of course are not set in concrete and some very lean and some very overweight people get pregnant with no issues, but generally extremes in body fat levels mean negative outcomes for reproduction (2,3). When your periods stop due to low body fat it can also have an effect on your bone health. Your body produces oestrogen as a part of your normal menstrual cycle. This hormone influences bone health and helps to keep bones strong. When your periods stop, oestrogen levels may be lowered, and this can lead to a loss of bone density and strength. This is especially worrying if it happens during youth, the time when we lay down most of our bone mass. If you want to get toned and muscular, there’s nothing wrong with that. But make sure you it doesn’t come at with the cost of a disordered perspective, health consequences and unhealthy eating habits. Remember that there are many healthy bodies. Toned and muscular doesn’t mean health, although of course it can be healthy. * Don’t be sucked into thinking a certain shape is ideal. * Focus on eating healthy not obsessive eating. * Exercise – but don’t become obsessed with looking a certain way. * If you’re looking at fispirational that isn’t so inspirational – unfollow! What are your thoughts on fitpsiration pictures? I tend to agree with you. Especially ‘health doesn’t have just one body type’. Love it, thanks. While I found some of these ‘fitspo’ pics to be helpful in the past, I think now they’re out of control. There’s always someone, somewhere trying to tell us what we’re supposed to look like! Phew, hard work! So true! Thank you for your wise words and inspiring post Nicola! Love your work! 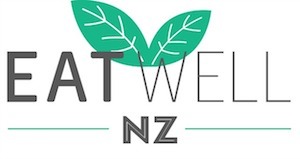 I love how you challenge every current trend in the supposed ‘health & well-being’ realm at the moment. You are sensible and I admire your bravery for standing up against some pretty strong and silly trends that have taken over. Thanks for your lovely comment Vanessa. I do get nervous about voicing my opinion, but that’s what blogging is all about and often the thoughts I’m having, others are too! So it’s good to put a different perspective on some of the trends that are out there that might not be good for health and wellbeing, even though at first glance they seem to be.